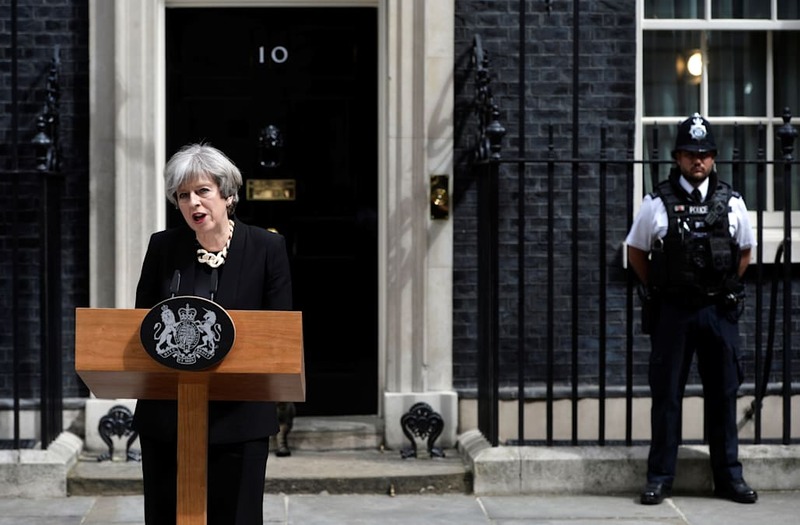 LONDON, June 4 (Reuters) - British Prime Minister Theresa May reacted on Sunday to an attack that killed seven people in London by saying things could not continue as they were and that the strategy for dealing with terrorism needed to be reviewed in four ways. Three assailants drove a van at pedestrians on London Bridge late on Saturday night before getting out of the van in the bustling Borough Market area and stabbing a number of people.Of the 48 wounded victims, 21 are in critical condition at this time. All three attackers were shot dead by police within eight minutes of the first emergency call to officers. May mentioned beefing up jail sentences for terrorism offenses and additional cyberspace regulations as possible areas of policy change. "We cannot and must not pretend that things can continue as they are," May said in a televised statement in front of her Downing Street office. 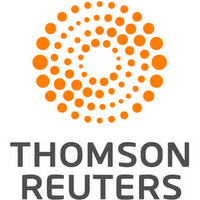 "We believe we are experiencing a new trend in the threat we face as terrorism breeds terrorism, and perpetrators are inspired to attack not only on the basis of carefully constructed plots after years of planning and training, and not even as lone attackers radicalized online, but by copying one another and often using the crudest of means of attack." She said campaigning ahead of a national parliamentary election on Thursday was suspended as a mark of respect, but would resume on Monday. "Violence can never be allowed to disrupt the democratic process, so those campaigns will resume in full tomorrow and the general election will go ahead as planned on Thursday," said May. She listed four areas where she said change needed to take place. The first was the fight against the "evil ideology" inspiring the repeated attacks, which she called a perversion of Islam and of the truth. The fight could not be won through military intervention alone, she said, adding that there was a need to defend pluralistic British values that were superior to anything offered by the "preachers of hate." Secondly, May said, new regulations were needed to reduce the space available to extremists online. "We cannot allow this ideology the safe space it needs to breed. Yet that is precisely what the internet and the big companies that provide internet-based services provide," May said. "We need to work with allied democratic governments to reach international agreements that regulate cyberspace." Thirdly, she said, more needed to be done to identify and stamp out extremism across British society. The fourth area was the counter-terrorism strategy, which May said was robust but needed to be reviewed in light of the changing threat.